Unused plastic gear. Great for experiments/projects. 1-1/8" diameter with 45 teeth, inside is 5/16" diameter with 10 teeth. Hole is 1/16" diameter. 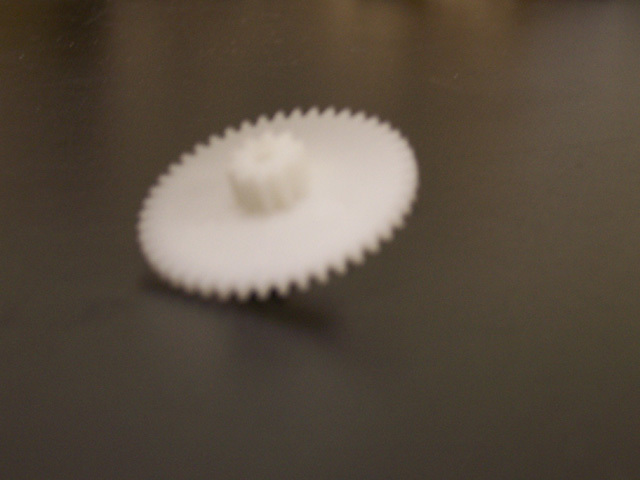 The gear is 1/16" thick, and extends to 1/4" in the center. Unused. Buy in quantity and save!